As a former theme park employee, I can attest that most visitors quickly become clueless. It isn’t always their fault; theme parks are often confusing to navigate, especially if it’s your first time visiting. Although each park has a different list of approved things to bring, most accept the same basic provisions. On top of that, not everything you should bring goes in a backpack. If your makeup isn’t strong enough to make it through lunch, it certainly isn’t going to survive a day walking through concrete. Some people come in full makeup, only to sweat most of it off within the first hour. While I don’t want this to turn into a list of things to wear and not wear, both you and your pores will thank you later for wearing light makeup. It’s also highly recommended to bring more because you will need to re-up sooner than you may think. 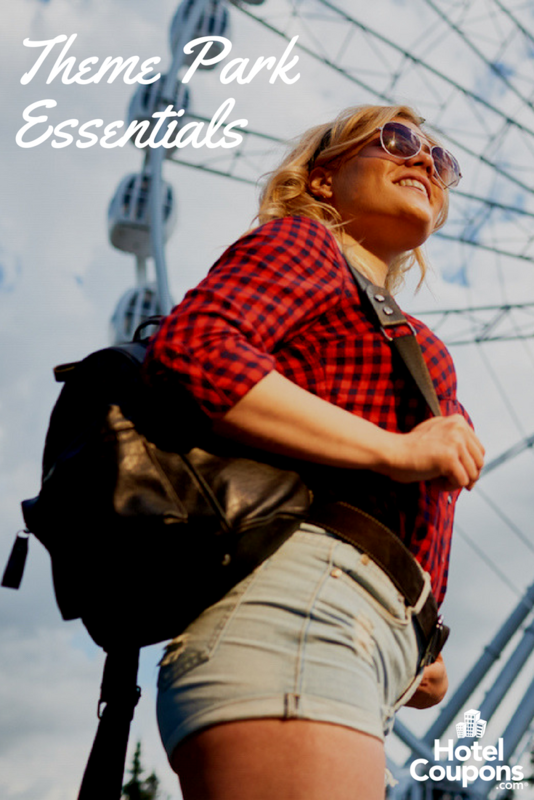 If you’re visiting a park in Central Florida and you’re not used to warmer climates, then you might not think that deodorant is something you need in your bag. However, you’ll soon learn that applying once in the morning simply won’t cut it. If nothing else, remember to bring sunscreen! You’re going to be spending a lot of time standing outside in the sun. Also, most rides are going to be outdoors as well. If you know well enough to put sunscreen on every half hour at the beach or the pool, then you’re already a step ahead. I once spoke to a co-worker who said the most ridiculous thing she had seen was two dads getting into a fist fight on 4th of July. One cut in line in front of the other. Oh, and this line wasn’t for a ride – it was to buy an ice cream cone. The point is, if you show up with a bad attitude, it’s only going to spiral out of control. It’s going to be a hot day with a ton of walking, as well as loud noises and music. For those in the mindset of “this is going to be a great day!”, it’ll all be fun and games; otherwise, you’re going to wind up screaming at a college kid that they “ruined your vacation” over a minor inconvenience. And no one wants to be that guy. I also understand that this is easier said than done, especially when traveling with children. Just please keep in mind that there are plenty of places to walk over and recollect everyone’s thoughts. If you think it’s embarrassing to be having a screaming match with a child in a grocery store, imagine how it looks surrounded by cartoon characters. I cannot stress the importance of water enough. Even if you are planning a trip to a water park, you absolutely need to stay hydrated. Even if you spend most of the day in the water, your body is going to sweat out more than it usually does. Many theme parks do restrict how much food and beverage you can bring in. Therefore, be sure to check ahead of time. Most parks are okay with at least some water bottles, or even a plastic gallon. Other parks may restrict even this. A little-known perk of going to Disney is that at any concession stand with a soda fountain, you can ask for a cup of water for free. While it may only be a few ounces, it is good to know that you can keep dehydration at bay without spending a fortune. Finally, any drinks with sugar, including sports drinks, are going to wind up working against you. Sugar works to dehydrate your body further, and it can also lead to developing headaches quickly. Even if they advertise themselves as including electrolytes, there really is no substitution for water when your body is running low. Sodas are especially bad when you’re already past due for a drink, so avoid them if you can. This is doubly true for children. While a park’s layout may have made sense to the engineering team, often it feels like there’s no rhyme or reason. Although every park does offer a map, sometimes they do more harm than good. Try to look for tall landmarks, as well as signs. Although many parks try their best to make navigating simple, signs are also easy to blow right by. Don’t be afraid to ask an employee for help, either; chances are, they practically live there. Before visiting the park, try and determine what the most popular attractions are. Although the savvy travelers are going to make a beeline for these as soon as the park opens, getting to them early will help prevent you from a two-plus hour wait later on. Ride height restrictions are the bane of family vacations. You would be amazed at how quickly a dream vacation becomes “ruined” once their five-year-old isn’t allowed on a high-speed roller coaster. The reason for height restrictions isn’t to be mean, or to waste your time and money; they are a safety precaution. 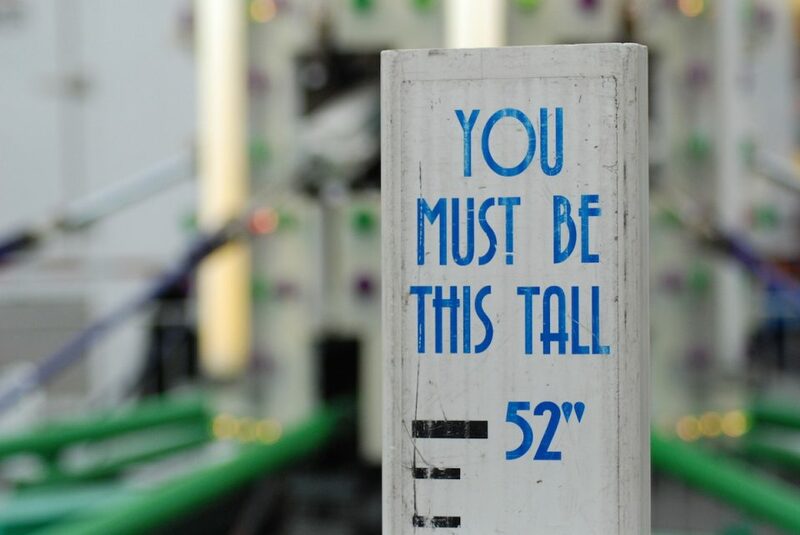 As in, if your child doesn’t meet the height requirement, there’s a good chance they could go flying out halfway through. Believe it or not, theme parks have an entire set of federal and state laws, as well as industry rules and regulations, to abide by. 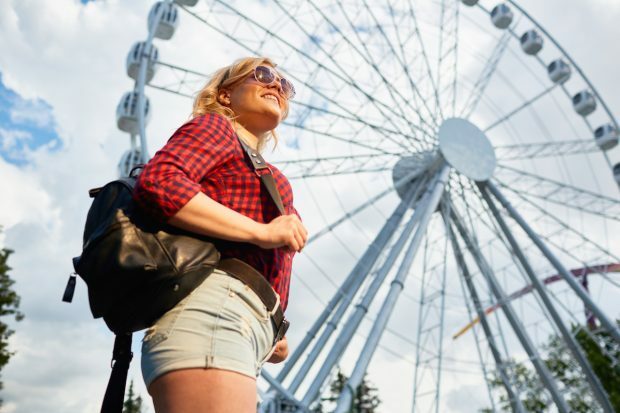 In fact, theme park regulations are established by an entire governing board, the International Association of Amusement Parks and Attractions (IAAPA). If a theme park employee tells you to do (or not do) something, it’s usually in your best interests. Also, many theme parks have a safety audit team, and they on occasion observe workers as if they were guests, kind of like an undercover operation. Meaning, employees must be on their A game always for fear of winding up reprimanded, or worse. Nothing winds up ruining a trip faster than finding out if you’re going to get nickel and dimed all day long. For most theme parks, admission is just to get you inside. 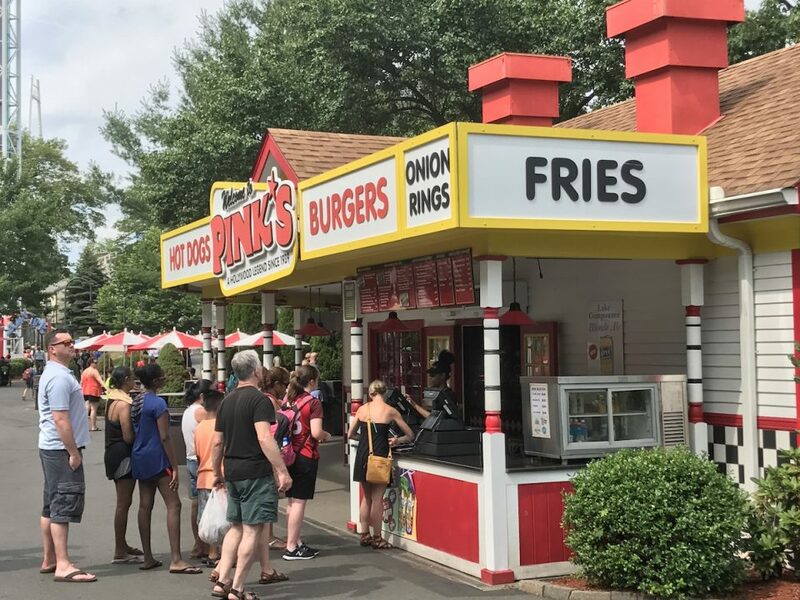 Parking is almost always an additional fee, as is food, drinks, and possibly even locker storage, which is becoming mandatory in more theme parks. A small amount of research will go a long way, and many park features that cost extra are stated online. 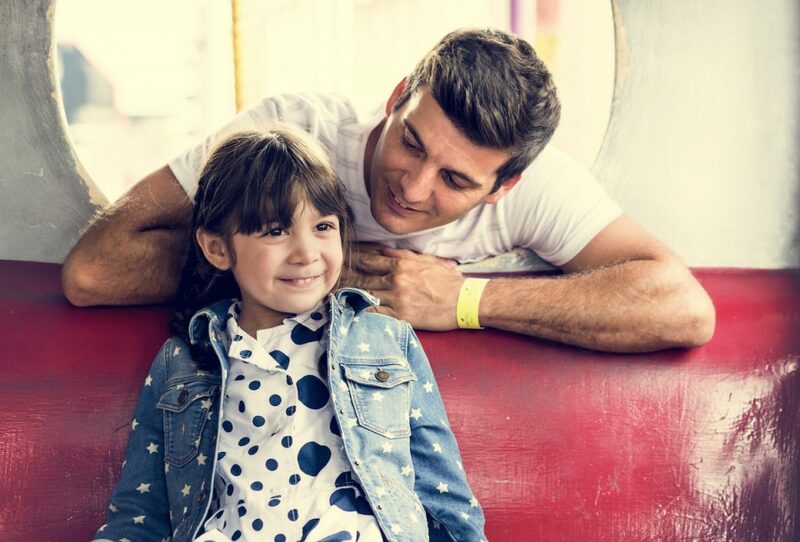 By cross-referencing what you intend to do with what costs extra, you can get a more accurate ballpark price for your family trip. Although they cost more, buying into a vacation package may wind up being more cost effective than paying for everything separately. Sometimes, especially when these packages include lodging, there are other perks available as well. This can range from exclusive character meet and greets, discounted meals, and even early or late exclusive park access. Staying on-property could also eliminate needing to pay for parking, and it’s usually in a resort’s best interest to offer some form of shuttle service. Many parks offer discounted tickets if you buy ahead, which could provide steep savings. I would recommend against looking for discounted ticket sales retailers, however; most are scams, and as the big names in theme parks becoming more technologically advanced, it’s becoming harder to use someone else’s tickets. There is a lot going on in theme parks, and if you think that you’re distracted, try being a child. In addition to having your field of vision obscured by being short, children have shorter attention spans. Theme parks generally have a centrally located area where employees take lost children. If you can’t find a child, don’t panic – chances are, they’ve already found someone who works there, and they’ve already been brought in. Simply ask someone working where missing children are taken, and they can help you out. Worst case, the onsite security should be able to find them. Security cameras are everywhere, and if you don’t remember seeing any, that’s usually the point. Although this isn’t a comprehensive list, it should, at least, help you make the most of your time traveling through a theme park. Everyone has their own “do’s and don’ts,” and I’m sure someone more experienced than I can toss in a few more in the comments.